This has been the longest shortest week of my life. Maybe it's because I had such a busy weekend and was busy at work. But thankfully, I have today off from work, so I'm enjoying a much needed staycation. It has been announced this week that Michael's 'Frank' film will premiere in the states on August 22 - months after it's premiere this week in the UK. 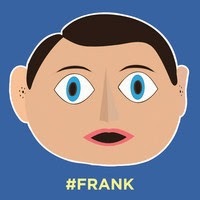 If you are following the @FrankTheFilm twitter on Thursday, you would have seen massive tweets of people donning the Frank mask while doing all sorts of daily activities about London. It was cute, but then it got a little claustrophobic seeing tweets after tweets of numerous heads covered with the same Frank mask. But it's all in good fun to promote a funny film I can't wait to see. 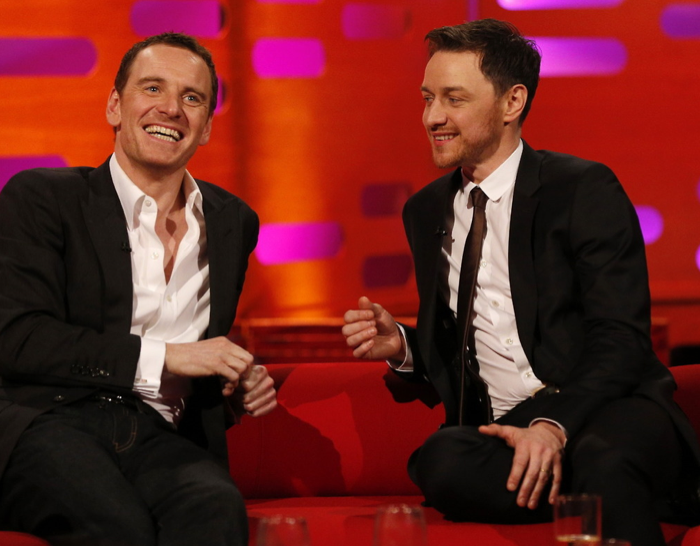 Meanwhile, listen to Michael Fassbender sing 'I love you all' at Soundcloud. It's really a decent song and Michael sounds fantastic. The music is a cool blend of The Beatles and Arcade Fire. He has a deep singing voice and his Irish accent is prominent. I don't know if he can help that while he's singing, especially since the Frank character is American. 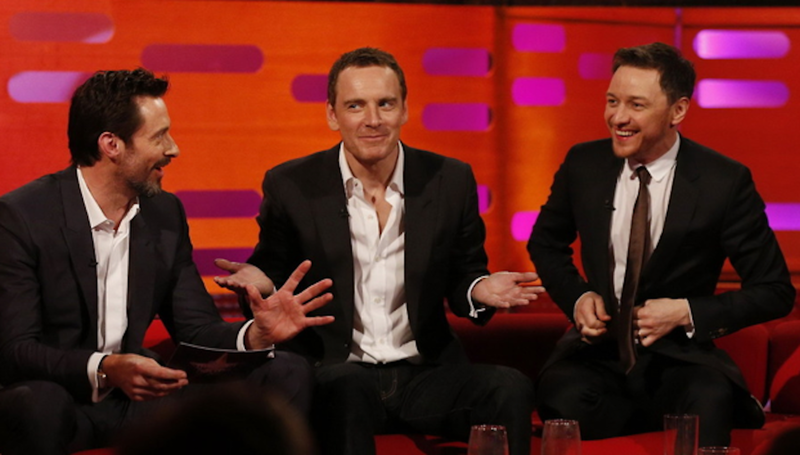 And lastly, Michael made an appearance on the Graham Norton Show with James McAvoy and Hugh Jackman in support of X-Men: Days of Future Past. It will air today in the UK, 2 May, so just as soon as the video is available, it will be posted here and at FF@FB. That show is going to be awesome. The three of them are so cute together. I've noticed a snarky trend lately in the little news blurbs I've been reading about Michael lately, Simone. Have you noticed that journalists are starting to refer more and more to Michael being 'everywhere' and 'ubiquitous'? It almost seems as if there's some strange resentment there. What's your take? Hey Snootie, they have been snarky about him being "everywhere" for quite a while. I think it's really tongue in cheek snark because the reality of it is, he hasn't been everywhere, just in very prominent films, and his talent is so immense, he tends to steal the show from others. Wow! Thanks Snootie, can't wait to see the entire interview. They need to remake three men and a baby with these guys! Yeah, I tend to think there is not enough of him. I always look for something new but oldies are good too. They satisfy. LOL! The whole interview! Can't wait. Yeah. He does tend to steal the show. He's so darn adorable.